Makola M. Abdullah strolled onto the TED-x Talks stage and signified, as the folks used say. 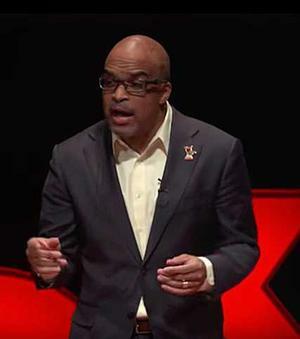 The engineer and recently-appointed university president sang, finger popped and danced in making his point about how the arts can facilitate break-through thinking in science and technology. His performance led to an account about creative visualization in engineering. 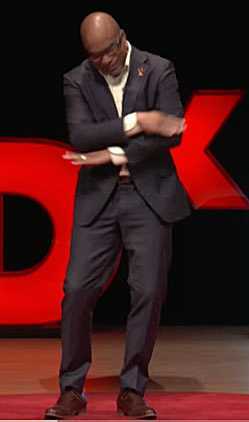 Abdullah presented his TED-x Talk in Richmond, VA on April 8, 2016. When Abdullah was working on his engineering dissertation, he imagined “buildings dancing out of control to seismic music.” The visualization led to ideas about how building vibrations can be reduced during earthquakes. The hybrid from crossing art with STEM (science, technology, engineering, math) is dubbed STEAM. Abdullah cited numerous STEAM exemplars ranging from his personal hero, the ancient Egyptian architect, engineer, physician, sculptor and poet, Imhotep, (c. 2650–2600 BC); to Leonardo, to his 16-year daughter who takes advanced calculus and physics and who converted the garage of their home for her art studio. His talk is here. Abdullah became president of Virginia State University on February 1, 2016. Like Mokala Abdullah’s daughter, Akilah Johnson is a teen with STEAM interests and aspirations. On March 21, Google announced that the 15-year old Eastern High School (Washington DC) sophomore won its 2016 Google Doogle contest. At a ceremony at Google headquarters in Mountain View, CA, Johnson was awarded a $30,000 scholarship and $50,000 for her school. 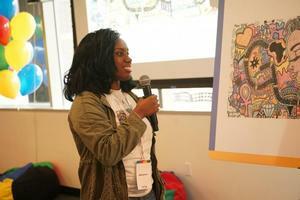 During her day-long visit to Google, Akilah Johnson interacted with people who work with state-of-the art technologies. She wants to be a CSI detective. Her Google exposure will be a good basis for the science and technology learning that supports CSI analysis. Johnson also wants to start an arts and crafts studio for kids. To illustrate year’s contest theme, “What makes me…me,” Johnson spelled out "Google" with a line depicting the box braid used in cornrow hair design. Her detailed artwork, invoking the names of noted African and African American progenitors and depicting African Diasporic cultural motifs, stood out among about 100,000 doodles submitted by participants from all 50 states, Puerto Rico, Guam and Washington D.C. STEAM education has gotten a much needed boost from activity in the U.S. House of Representatives. After decades of decline in public schools, “esoteric” art is gaining recognition as a way of stimulating creativity in the “practical” fields of science, technology, engineering and mathematics. On July 7, 2016, the House Education Committee unanimously approved bipartisan legislation reauthorizing federal funding for state and local career and technical education (CTE) programs. One amendment to H.R. 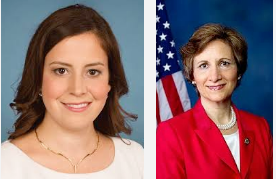 5587, put forward by Congressional STEAM Caucus co-chairs Reps. Elise Stefanik (R-NY) and Suzanne Bonamici (D-OR), gives explicit support for integrating arts and design skills training into CTE programs. “One issue that I hear from businesses in my district is they have a desire to find more employees who are not only technically proficient, but also possess the creative and design skills found in the arts,” stated Stefanik. “America's economic success has also been built on our propensity for innovation, inventiveness, and entrepreneurship. Education programs that integrate arts and design elements nurture future workers to think in new ways,” said Bonamici. The legislation still needs to come to the full House for a vote. The U.S. House also began considering a nearly $150 million funding bill for the National Endowment for the Arts (NEA). It includes a $2 million increase for FY2017, and supports for the first time the value of integrating arts education into STEM education. The enhanced approach, STEAM, is hoped to foster creativity, innovation, problem solving, and critical thinking skills. We generally think of the tekkies getting shots of illumination from the artists but the inspiration goes both ways. Demetrius Oliver is an artist who explores sci-tech topics through manipulations of common household objects. 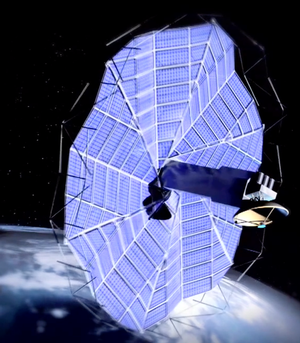 For example, he suspended fractured umbrellas in gallery to create what is known as an orrery, a mechanical model of the solar system that is used to represent the relative positions and motions of the sun, moon and planets. 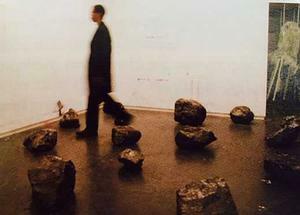 That installation was part of the 2012-13 Affinity Atlas group show at Hamilton College's Wellin Museum of Art. Demetrius Oliver's recent work, Eclipse, was on view at the the Henry Art Gallery in Seattle, December 06, 2015 — April 10, 2016. Eclipse consists of 16 individually framed photographs hung in a grid. 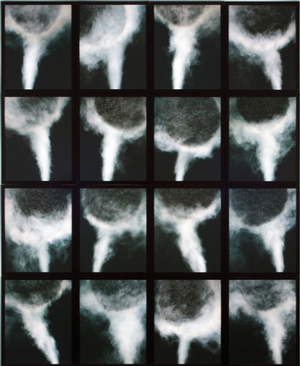 Each image captures a jet of steam hitting the top of Oliver's head. Jets of STEAM hitting his head?! Oliver creates a visual and conceptual link between otherworldly astronomical events and everyday actions that he sets up in his studio. This pairing down of complex scientific ideas is not a direct attempt at simplification but rather a way to create room for interpretation and contemplation. The Eclipse show included commentary by Woodruff T. Sullivan, III, professor emeritus of astronomy, and Andrea Woody, associate professor of philosophy, University of Washington. 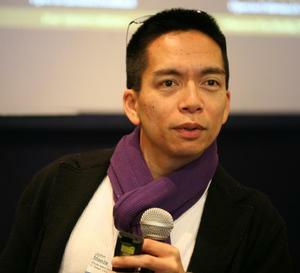 Business executive, designer and technologist John Maeda pioneered the STEM to STEAM movement when he was president of the Rhode Island School of Design. 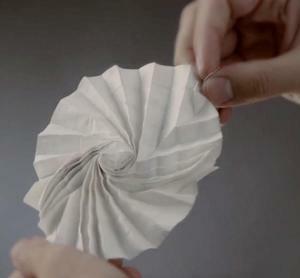 Principles of origami — the centuries-old art of folding flat sheets of paper into three-dimensional forms — have been embraced by mechanical engineers who created this video to show the art form’s use in imagining the design of innovative devices and for making prototypes of the devices. To reach new breakthroughs, in scientists find themselves needing to be multidisciplinary, to go beyond their specialist training of reducing complicated sets of information into simple interpretations of nature. 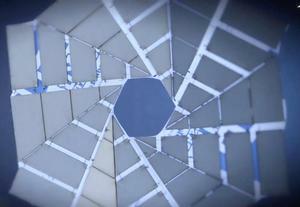 For instance, James Gimzewski, a UCLA chemistry professor has said it takes a vibrant imagination to understand how matter behaves at the nano scale — at a billionth of a meter. Many of Apple's best engineers have highly developed skills in music or other arts, according to Steve Jobs in his biography. And STEAM topics are discussed at the annual Poptech conference which brings together innovators together from a broad variety of fields. The effective communication of why scientists should care about art to government and industry is essential if scientists want their work to influence public policy and decision-making. Yet they are often unprepared to produce visualizations and narratives that make an impact outside their field. They may not think of the types of cultural perspectives that come routinely to artists. Climate change, the ethics of genetic modifications, non-lethal immobilization devices for policing and the uses of big data are some of the current issues that could benefit from STEAM applications. When we heard about this physicians’ art initiative to support sports head injury research and treatment, we thought about Mohamed Osman, M.D., who paints everyday, and forwarded the announcement to him. interface. It is as therapeutic to me as it is to my patients.” (This comment is from an article on Osman in the IRAAA Innovation issue; details below). A native of Merka, Somalia who fled a repressive regime there, Osman now practices in St. Pauls, North Carolina. 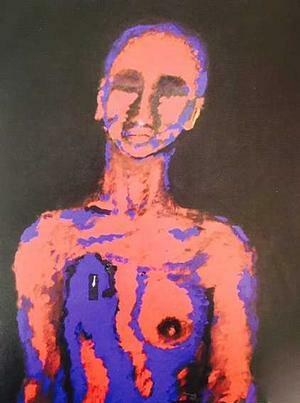 Often rising at 4 am to paint, the solitude and artistic sancturay give Osman the inner peace that he calls “his commune with a higher power.” He feels that the incorporation of art into medicine taps into the spirit that facilitates recovery from acute illness and the acceptance of chronic illness. Some of his works depict normal bodily processes such as sperm penetrating an ovum. His imaginative view of conception filled the entire back cover of the issue. 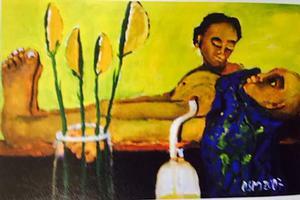 The Art For Medicine initiative is sponsored by Central Florida’s First GREEN Bank, a local bank with a global mission. Visual art submissions (drawing, painting, printmaking, ceramics, pottery and sculpture) are invited from physicians across the country for its gala to benefit the University of Florida's Trauma, Concussion, and Sports Neurology Program. The Art of Medicine Gala will be held in October 2017 at the Dr. Phillips Center for the Performing Arts in Downtown Orlando. From the submissions, First GREEN Bank’s Art of Medicine Foundation will select a collection to showcase and auction off during the event. The gala is in honor of former physician Cindy LaRoe, wife to First GREEN Bank’s founder, Ken LaRoe, and survivor of a traumatic brain injury that left her unable to continue practicing internal medicine. To be eligible, submitting artists must be a registered physician. Selected pieces will be considered a donation on behalf of the artist, and will be auctioned off for charity at the Art of Medicine Gala in 2017. Each artist’s name, practice and artwork title will be displayed next to their work during the event. 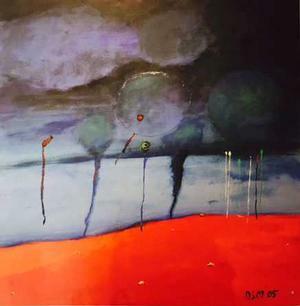 Physician artists selected to have their artwork included in the gala will receive two complimentary tickets to the event, which includes fine cuisine, wine and beer. To submit, physician artists should email a photo of their piece(s) to marketing@firstgreenbank.com, along with their full title and current practice. Artists may submit a maximum of three photos for consideration. Submission Deadline: December 31, 2016. *"Nature's Transcendent Image, The Art (and Technology) of Self-Realization," article on Demetrius Oliver by Lori Salmon, IRAAA, v.23, no. 3. "The Marriage of Art and Science," article on Mohamed Osman and three other STEAM artists by Clark Baker in IRAAA v. 23, no. 3.